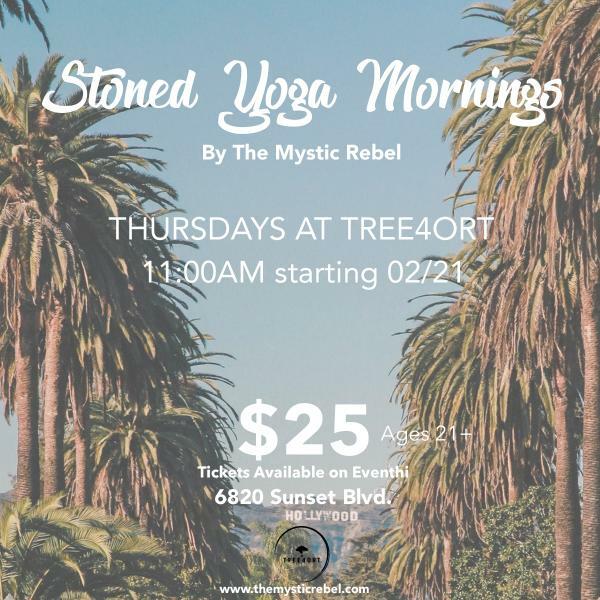 Join The Mystic Rebel for Stoned Yoga Mornings every Thursday at 11:00AM. Stoned Yoga is cannabis-friendly class focused on awareness of the body with deep, restorative stretching. All are welcome whether you use or not, a safe and non-judgmental environment. Cannabis products NOT provided… please “BYOC” :).